The results have been immediate; Bird Control Group, the company that makes the lasers, claims that their technology has reduced the number of birds on the farm by 99%. The farm believes that the lasers have saved around 262,500 kilograms of blueberries—that is around $99,733 saved! The laser took around 4 years to develop. In that time, Bird Control Group tested various colors, wavelengths, and beam widths. They decided on a wide, green beam and applied filters to it to reduce the amount of harmful infrared radiation. “We learned the characteristics of what we call the ultimate laser beam for dispersing birds,” says Steinar Henskes, CEO. But what made them settle on green? A further reason for the laser’s incredible success lies in the sweeping pattern of the laser. The company tested many different patterns and discovered that some were significantly more effective than others at deterring birds. The laser patterns are always customized for each site to make them as effective of a deterrent as possible. 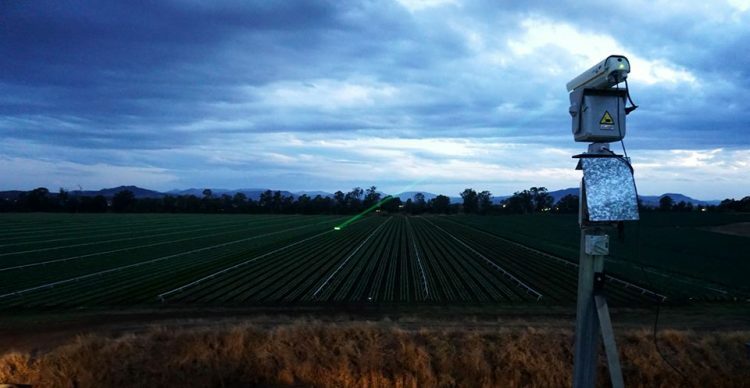 Not only do the lasers now operate in farms around the world, but they are also used in settings such as airports and oil rigs. The laser technology is now in place at over 6,000 facilities worldwide. 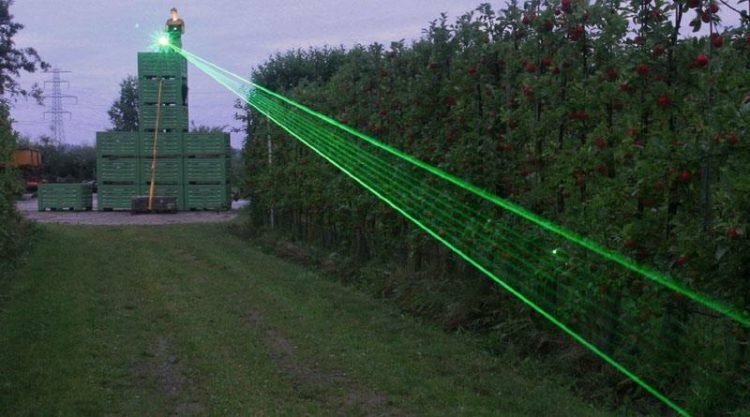 Unlike other methods of dispersing birds (such as scarecrows), birds do not become accustomed to the laser; it can remain effective years after its initial installation. There is one downside—the laser’s amazing results don’t come cheap. Each laser gun costs around $10,000 and most places will need more than 1. At the moment, the lasers are not capable of differentiating between different types of birds, nor is it possible for them to only activate when birds are present. Since there are over 12,000 bird species in the world, it is not surprising that the device doesn’t work on every single type. The lasers work best on birds who have natural predators. Birds that are predators (such as hawks), are not really intimidated by them. Luckily, those kinds of birds aren’t really a problem for farmers, quite the contrary. There is no doubt that the lasers are getting results, but the long-term consequences of their use still remain to be seen; innovations in technology can often lead to some very unexpected results. Blackwell recommends that people hold off on purchasing these lasers until they are better understood. 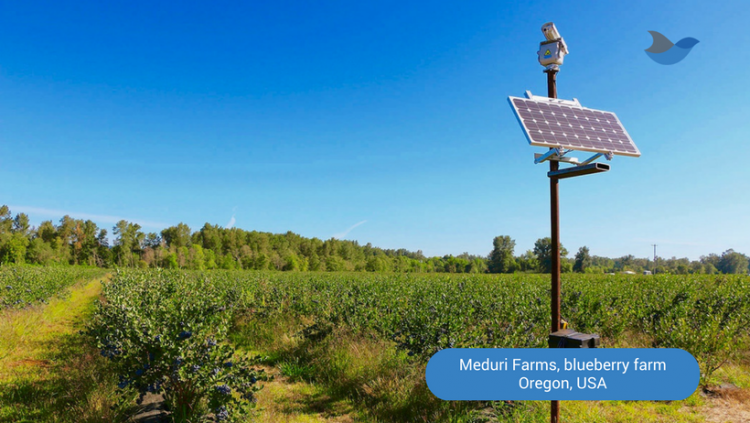 However, over 100 US farms have already adopted the technology, and that number is expected to triple by the end of the year.